When caring for your older adult, it’s tough to find the time and energy to take care of yourself on top of everything else. But if your health declines or you get burned out, it makes it harder for you to care for others. In this article, The Dollar Stretcher interviews a New York geriatric care manager to get helpful self-care tips. She answers 5 top questions about finding time for self-care. As caregivers, sometimes it’s easy to get caught up in running errands, attending doctor’s appointments, and just general full-time care. But it’s so important to also make time to care for yourself. Q: Why is it important to make time to care for yourself if you are a primary caregiver to someone else? Ms. Drelich’s answer: Caregiver stress can be particularly damaging to you, the primary caregiver, particularly when your ill relative is chronically ill.
As the months and years pass, and it becomes clear that there is no hope for recovery, but rather only to safely maintain the person’s needs, you can become vulnerable to both physical and emotional problems. This can affect your ability to concentrate. It can lead to irritability and it can leave you feeling hopeless. Taking care of yourself and taking brief intervals of respite can help to counter the stresses of caregiving. Just as in airplane travel, where you are asked to first put your own oxygen mask on before putting on that of someone in your care, you must take care of yourself first. If you are constantly exhausted, not eating properly and ignoring your own health, you will become ill, and you will no longer be able to support your ill relative. Taking care of yourself will enable you to take care of your relative. Q: What are some ways that you can care for yourself if you are a primary caregiver? Ms. Drelich’s answer: Taking some brief breaks from caregiving to take care of some of your own daily needs is essential. You may have to reach out to request help, and it may mean lining up a couple of trusted friends or family members to take two evening shifts a week. During this time, you can run your own errands, meet your spouse or a friend for dinner, or even be free to take a nap or a leisurely bath. It could mean something as simple as bringing in some fresh flowers and ordering take out, while taking the time to enjoy a glass of wine after helping your relative to bed. It’s okay to pamper yourself a bit too! Also, make sure that you do not forget to visit your own physician, dentist or even to join a support group, while you are working so hard to care for your relative. Q: What if you would like to do something to care for a caregiver friend or family member? What are some ideas that would help out? Ms. Drelich’s answer: The best answer? Do not wait to see if the primary caregiver reaches out to you for help. Call them with a specific offer. Examples could include staying with the ill person at a specific time that would be helpful, offer a home cooked meal, or go food shopping for them. Caregivers often feel isolated from the outside world, and their life can revolve around being a caregiver only. 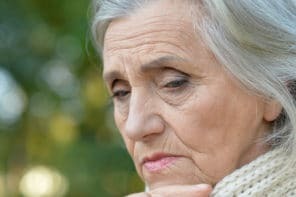 You might offer to be the gatekeeper for information on the condition of the ill person, so that the caregiver doesn’t need to repeat the same updates to other family members about the ill person’s condition. For caregivers who are unable to leave the home, you might offer to come over to visit over coffee or a meal that you bring over. This will let them know how much you care. Even if they don’t feel like talking, your presence will be reassuring and valuable, and it will help to ameliorate their feelings of isolation and loneliness. Q: What if you have limited time? How often should you try to care for yourself if you are a caregiver? Ms. Drelich’s answer: If you have limited time and would like to be a caregiver, figure out what you can do in that amount of time. For example, an out of state caregiver or even a local caregiver who works long hours could call into a physician appointment utilizing a speakerphone. Another option that could be helpful is to take over some of the bill paying by managing finances and banking online. Many cities have a home delivered supermarket delivery service available, which only takes a small amount of time each week once set up. From the convenience of your office, you could save the primary caregiver the stress of food shopping. You should try to take care of yourself every day or as often as possible. The person you are caring for needs you in good health. Q: What is one thing that most primary caregivers forget to do when it comes to caring for themselves? Ms. Drelich’s answer: Many primary caregivers place their needs secondary to those of the ill person. They may ignore their own health and forget to go for their own checkups or get a good night of sleep. They also tend to forget that many caregivers who ignore their health can wind up with disease caused or exacerbated by excess stress. It is also important to remember that paid caregivers are trained to care for people in a competent and caring manner. You do not need to do it all yourself. Guest contributor: The Dollar Stretcher has been offering personal finance and frugal living tips since 1996. Visit their Baby Boomer library as well as additional articles like Helping Elderly Parents Organize Must Have Financial paperwork.